In charge of onboarding new clients, Elodie intervenes on the structuring of funds and on the investments. 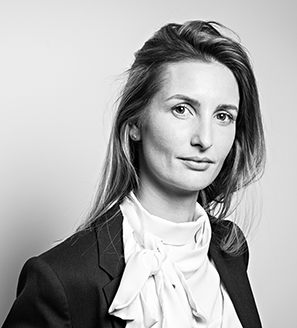 After graduating from Dauphine with a Masters in Asset Management, Elodie started as an analyst at HSBC Private Bank and then worked for six years at Amundi Private Equity Funds. Elodie joined Equitis in September 2018. She also worked in marketing in China and founded a company in Mexico.